“Practice makes perfect.” That’s what many of us have been told from a very young age. I like the phrase, but truthfully, I’ve never done anything perfectly in my life. I do, however, get what is intended by the statement. We get better when we practice. If you have ever attempted to learn how to play a musical instrument, play a sport, or master a trade skill, you know this already. It is likely that you also recognize the value of practicing strategically. Every instructor and coach that I’ve ever sat under has had a plan for how to best use the practice time. My experience is that these principles all translate when it comes to prayer. We can get better at prayer. We can make advances in prayer as we commit ourselves to repeating the exercise. But I wouldn’t want you to think that any kind of praying will do. In order to make progress in prayer my recommendation is for you to track with the many examples of godly men and women in the Bible who gained intimacy with God by praying in a particular manner. In a previous post, I commended Hannah in this regard. 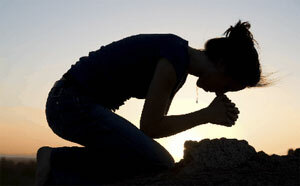 In this post, I commend King David as a man who advanced his relationship with the Lord as he made advances in prayer. The first two components relate to the manner of David’s praying, while the third component relates to the content of David’s prayer. Getting better in prayer is possible, but it is not easy. If you are like me, and if you have had seasons where you have struggled with prayer, I expect that David’s example will help you. There is a massive difference between “saying a prayer” and praying. I have no interest in helping people “say prayers” more effectively. My interest is to help people advance in praying to our Heavenly Father. I wish I could say “Practice makes perfect”, but that might be misleading. Instead, let me encourage you to study and emulate David’s example. If you do, I am confident you will make advances in prayer. “David: Passion For God’s Glory”, based on 2Samuel 7:18-29, was preached at St. Andrew’s Presbyterian Kirk on Sunday, May 22, 2011. Earlier this week, I traded one kind of paradise for another. I left the comfortable confines of Nassau, Bahamas, and flew North to Cleveland, Ohio, in order to attend Alistair Begg’s 2011 Basics Conference. This is a journey I have done 9 out of the last 10 years, but it is the first time I’ve attended this conference since becoming the pastor of St. Andrew’s Kirk in Nassau. Now, with all due respect to Cleveland, the notion that I visited another kind of paradise had nothing to do with the actual city of Cleveland. No, I found a slice of paradise in the suburbs, Chagrin Falls, within a church community called Parkside. What do we do at this conference? In a word, we worship. We go back to the basics of the Christian faith. We sing together, we pray together, we give attention to the Scriptures together, and we eat and fellowship together. Pretty ordinary stuff on the one hand, and yet I found our experience of these basic things to be nothing short of extraordinary. This year was no different than previous years–amid our time of singing, I marveled at how compelling the environment was. I imagined our gathering as a microcosm of what heaven will be like–vibrant worship marked by profound joy, genuine humility, and unity. The speakers, Alistair Begg, John Dickson, and Rico Tice, were as insightful as they were inspirational. On the theme of “Doing The Work Of An Evangelist”, Rico Tice challenged us to “help create disciple-making disciples of Christ”, reminding us that we are not to be a “reservoir”, but a “river”. All of the speakers sounded a similar note regarding the manner in which we convey the Gospel. The Gospel itself should set the tone for our delivery–we concern ourselves, not with status, but with service. We give up security in favour of suffering. Our obsession should not be with obtaining a crown, but with shouldering a cross. John Dickson wondered whether some of the difficulties that congregations experience has to do with the posture of that local congregation. Dickson suggested that some congregations have taken such a pronounced posture of admonition that they have ceased to have a posture of mission. As a result, we have antagonized in places where we should have been engaged in a loving rescue. Admonition, of course, has its place–but only after mission has done its work. To put it another way, obliging others to obey a list of commands is not our prerequisite work. Our primary work is to magnify the majesty of Jesus. And this work is advanced by a humble proclamation, and a lifestyle that is marked by self-less, loving, service. Depending on how it is described–spending all day, for 3 days, in a church building listening to sermons and singing alongside 800+ pastors may not seem like the most exciting way to spend half of a week. What I hope I’ve conveyed, however, is that aspiring to make Jesus Christ the main thing, along with 800+ other people, gives a sweet foretaste of heaven’s paradise. In one sense, Nassau, Bahamas, is already a paradise. But I want to be a part of that which makes Nassau, Bahamas, like paradise in the biblical sense. Friend, whatever your context, help transform where you are into what will feel for others as a preview of heavenly paradise. Persona. The role that one assumes or displays in public or society; one’s public image or personality, as distinguished from the inner self. To varying degrees, every person I have ever met conveys a persona. 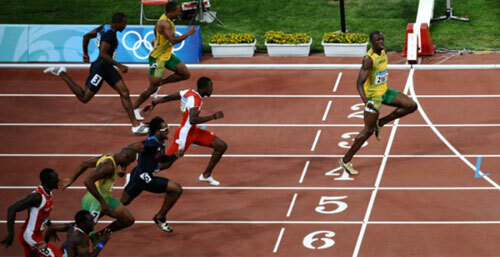 Social networks serve to magnify this reality. We present ourselves to others, not falsely, but selectively. Our persona is not usually marked by adding things which aren’t there, but by omitting things which are there. Example: My wife snaps a bunch of photos during our family outing and is about to post them on facebook. I notice a pic of me with my mouth full of food–I look awful, and so I plead with my wife to leave the picture out. Perhaps there is another pic where I look a bit grumpy; I ask her to leave that one out too. Why? Because I don’t want to present myself to others as a grumpy guy who eats too much–that’s not the persona I want to convey. I think we all get that the persona we present to the world online is a bit sanitized. It’s the unwritten rule of tweeting, facebooking, and blogging to leave some of the ugly stuff out. If we’re experiencing a personal meltdown, that’s not something we’re going to share with our online community. As a result, what we’re left presenting is our online persona. For those of us who are pastors, we tend to create a similar persona for the congregations we serve. We don’t tweet about the blow up at the annual general meeting. Nor do we post about record lows in Sunday attendance. We’re not going to blog about the conflict within the Board of Managers. Why? Because we’re dishonest? No. Because we have a certain persona we want to convey. We have an image in mind of what we want our congregation to look like, and we want to keep that in tact. What got me thinking about this was a post from a well respected pastor, Perry Noble. Perry, like many of us, utilizes Twitter to keep people informed about what is going on in his congregation. Perry strikes me as a very upbeat, energetic, and positive guy–things I aspire to! But I gather that some of his 33,000+ Twitter followers were growing weary of hearing about all of the “epic” things going on where Perry pastors. In reply, Perry posted on his blog today, “I’m Sorry Your Church Is So Normal” (I’ll let you read it for yourself). It’s possible that some of these critical Twitter followers are simply colleagues who are jealous of the amazing growth and progress that Perry is experiencing within his congregation. But it’s also possible, that some of the criticism of Perry is a genuine appeal for a less sanitized persona. Perhaps, the criticism comes from individuals who feel that they are only receiving half of the story. I am taking the possibility of the latter to heart. I’m not sure that any of us are capable of altogether dropping our online persona, but I do think we might be able to offer a more balanced one. I do experience personal and professional challenges. And while it is not always appropriate or helpful to share those challenges online, I am mindful that only reporting the “wins” isn’t appropriate either. The question isn’t then, whether or not we have an online persona. 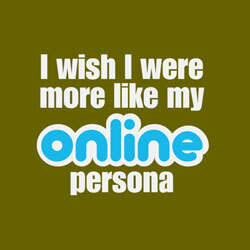 The question is “How close is the persona to the real thing?” How authentic is our online persona? I have some work to do on this. I want to close the gap.